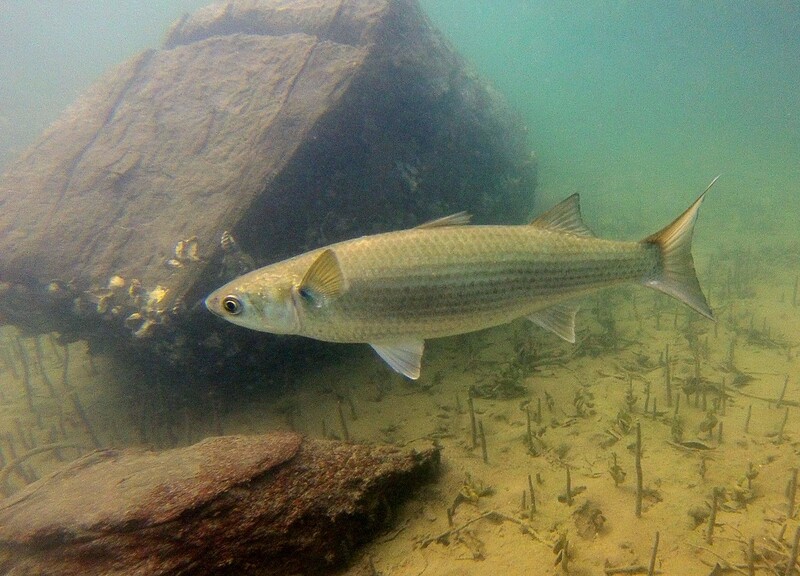 The humble grey mullet may have been an important vector in transporting sediment through our estuaries. They were in huge abundance 100 years or so ago, but now are present in just a shadow of their former numbers. There are historic photos of clinker dinghies in the Kaipara Harbour, loaded to overflowing with mullet, many huge by todays standards and upwards of 70 cm long. In my youth I saw a few schools of grey mullet while snorkeling, but then they “disappeared from the face of the earth”. Only in the last eight or so years have they been starting to come back, and I now frequently see adult grey mullet in the mangroves of Whangateau, and juveniles are seen in the lower reaches of the Brick Bay stream. A couple of years ago I saw a school of around 200 grey mullet, swirling around like a school of kahawai, in the Whangateau 100 metres or so below the Ti Point wharf. Here we have another very muddy marina in which the boats wallow about in the mud from about half-tide down. 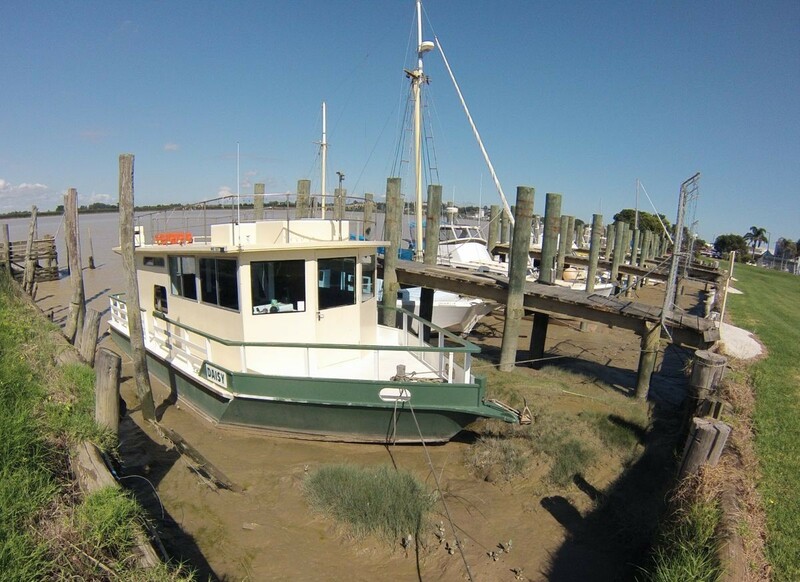 Not surprising since this marina is in the Northern Wairoa River which drains a huge area of pastoral Northland, collecting sediment and discharging into the northern half of the Kaipara Harbour and passing Dargaville on the way. The small marina at Dargaville cradles the boats in a wallow of mud from mid-tide downwards. Who needs (or can afford) maintenance dredging? The current situation obviously works!